PIDC has agreed to let the Philadelphia Bee Co., a community-based beekeeping and honey producer use its vacant industrial sites for wildflower meadows to support bees. The company has hives atop a building in West Parkside near several PIDC owned industrial sites. New wildflower meadows on these sites will provide new pollinating grounds to support the population. The Philadelphia Bee Co. has received a small federal grant to support the creation of the new meadows which will provide some use as the properties await industrial development. The Philadelphia Bee Co. provides residents with locally produced bee products including honey, wax and pollen all gathered and made within city limits. 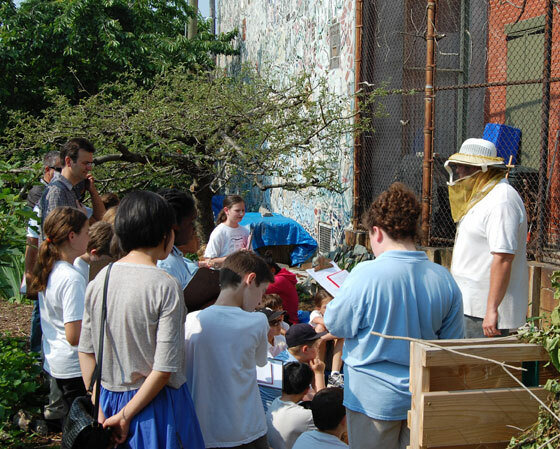 Philadelphia is an ideal location for honey bees with large numbers of trees and urban gardens. The company seeks to educate the community about the importance of pollinators and honey bees in particular. Bees are vital to our way of life as they pollinate plants that make up more than 1/3 of our diet. Apples, pears, almonds and even beef (due to their alfalfa and clover feed stock) are all pollinator dependent. PIDC client Shane Confectionery up close and personal with bees at the Philadelphia Bee Co.